1. SPECIFIC: State exactly, precisely what you’re going to accomplish. You could say, I want to start offering classes to my target audience but a specific goal says I will offer 3 classes 4 times between February and November. See the difference? 2. MEASUREABLE: Set benchmarks for tracking your progress. I will process my bookkeeping every Friday and review my quarterly goals on the 3rd business day of each quarter. 3. 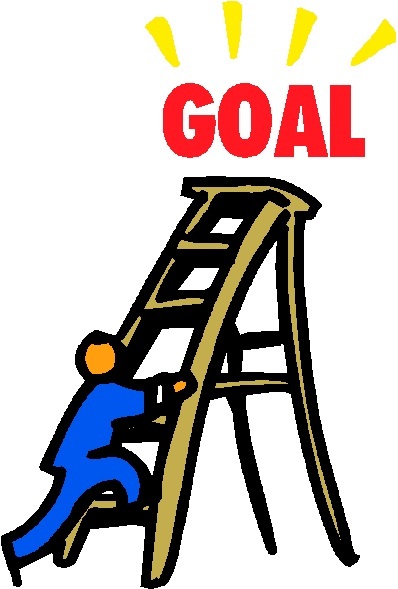 ATTAINABLE: Do you have the ability, skill, talent and discipline to make this goal a reality? If not, how can you beef up your skill set? Do you need to take a class or hire an advisor? Do you need to outsource the project? 4. REALISIC: This is a little subjective and it’s easy to get excited in the planning process. The New Year; New YOU crowd will declare: I will workout every day and eat clean every day to lose weight. In theory this is great but few people are able to maintain this level of discipline. For most of us, birthday parties happen, happy hours happen, and such strict declarations aren’t realistic. 5. TIMELY: Set a deadline. When are you going to have it done by? Assign a date. Then go back and run your date through the ability and realistic steps. Can you really increase your customer base by 200 by June or would a 20% increase be a more realistic and achievable number? Setting goals are usually developed this time of the year when most businesses have time to reflect on the past years activity — which, of course, is why I am writing about this in early January! So have you taken a look at where you have gone this last year? Is it in line with where you wanted to go at this time last year? Or maybe you need a little extra help. I have done some research and come up with a website that has several different FREE SMART Goal worksheets. Check out the different options and click on the sheet name PDF link (no need to click on download link) that resonates most with you and your business. Feel free to share with us about your goals — sometimes, accountability is helpful in keeping us on course!